Following three acclaimed releases for Avie surveying works by Dvořák, Schubert and contemporary Americans, the San Francisco-based Cypress String Quartet turns to the seminal string quartets of Beethoven, performing the five quartets from the composer’s middle period. 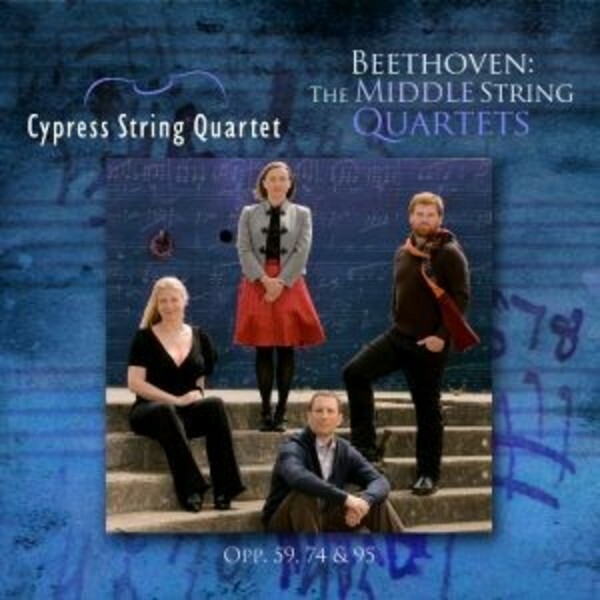 Formed in 1996, the Cypresses added Beethoven to their repertoire early on. Their signature sound, which is clear and transparent, built up from the bottom register and layered like a pyramid, lends itself beautifully to the Middle String Quartets - the three 'Rasumovskys', the 'Harp' and the 'Serioso'.